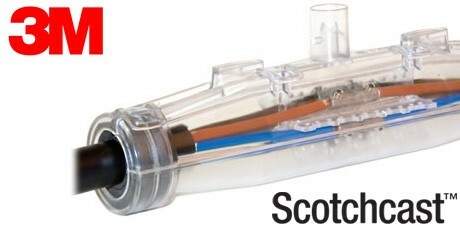 These Scotchcast Resin Joints are for underground, above ground or underwater cable jointing applications. 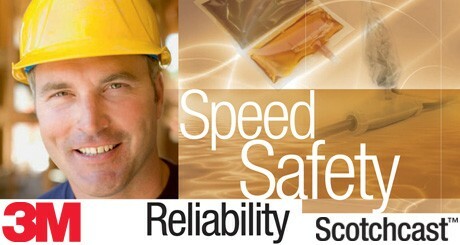 3M Scotchcast Resin Cable Joints are of the highest quality and incorporate 3M Scotchcast Resins. Complete range available including from Economy to Premium to suit all applications and budgets. Scotchcast Resin Joints are supplied in Straight Inline, T-Branch and Y-Branch Jointing Kit Designs. The Cable Joints are type tested and approved in accordance with Cable Jointing Standards to BS-EN 50393. We supply a full range of 3M Scotchcast Resin Cable Joints designed for jointing all types of Low Voltage Cables including XLPE, PVC, EPR and PILC. These Resin Cable Jointing Kits are suitable for jointing Armoured SWA (Steel Wire Armour) Cables, AWA (Aluminium Wire Armour) Cables, with Copper or Aluminium conductors. We also supply a full range of Resin Cable Joints suitable for jointing Unarmoured Non SWA Cables. These high quality Resin Cable Jointing Kits are available with or without cable lugs and connectors. Straight Resin Cable Jointing Kits, Branch Resin Cable Jointing Kits, Resin Cable Jointing Kits for Armoured Cables, Resin Cable Jointing Kits for Unarmoured Cables, Resin Cable Jointing Kits for Low Smoke Zero Halogen LSOH Cables, Resin Cable Jointing Kits for Hazardous Areas, Resin Cable Jointing Kits for Fire Performance FP Cables, Resin Cable Jointing Kits for Flexible Trailing Cables, Resin Cable Jointing Kits for Pilot and Telecom Cables, Resin Cable Jointing Kits for Copper and Aluminium Cables, Resin Cable Jointing Kits for Control Cables, Resin Cable Jointing Kits for Airfield Lighting Cables, Resin Cable Jointing Kits for Street Lighting Cables, Resin Cable Jointing Kits for Cathodic Protection, Resin Pressure Cable Jointing Systems, Resin Cable Sheath Repair Kits. 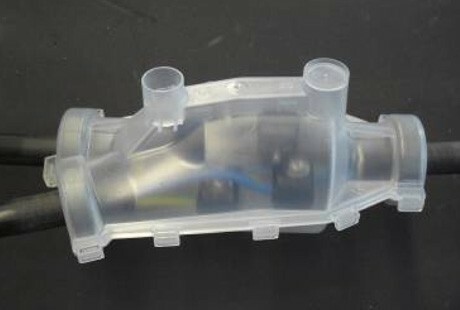 Injection moulded or vacuum formed dependent on size and designed to avoid resin leakage from the joint and prevent moisture ingress. Available in Standard or Large Shell Designs. We supply resin cable joints with either standard two part resin or with low hazard resin. Low Hazard resin is Isocyanate free, does not cause skin sensitisation and is not classified as irritating to the skin or the eyes. Both standard 2 part resin and Isocyanate free resins are supplied in a twin pack which means totally enclosed, easy mixing for the cable jointer. These resins have low viscosity to ensure void free joint filling combined with excellent adhesion in the jointing shell. 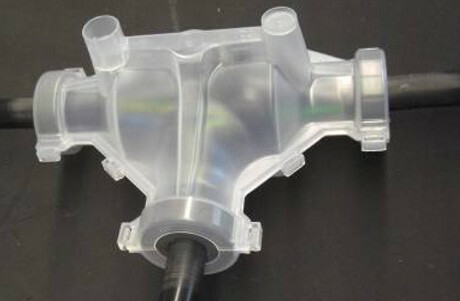 Resin Joints are available with or without compression cable lugs or mechanical connectors. Mechanical connectors offer a fast and efficient alternative to the need for compression lugs and tooling when jointing copper and aluminium conductors. We can provide a full range of mechanical connectors and compression lugs from our extensive stocks for all cable jointing applications. We offer a range of earth kits and braids to ensure earth continuity across the joint on armoured power cables for straight joint, branch joint or tee joint configurations. Constant force springs are the ideal method to complete electrical continuity across the joint on armoured power cables for straight or branch joints. Bespoke Solutions for Cable Jointing Systems. In addition to our existing range of cable joints, cable terminations and jointing systems, we have considerable experience of working with design teams to provide cable jointing solutions to suit specific requirements of cable design. This means are able to coordinate across many disciplines to provide the optimum jointing systems to suit specifics with regard to cable installation conditions and electrical performance. Extensive Technical Support for Low Voltage Cable Jointing Systems. We work with some of the most experienced and qualified R&D professionals involved in cable jointing design. This ensures we can consistently provide the most up to date levels of technical support available for cable jointing systems in the areas of Power Generation and Distribution, Renewable Energy, Oil, Gas and Petrochemical, Traffic Management and General Construction. 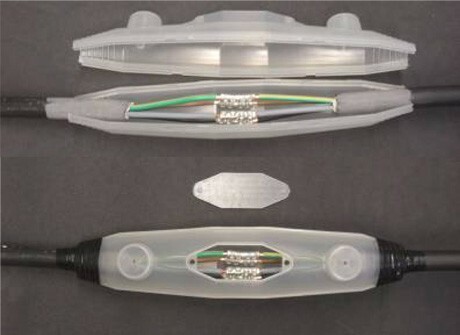 We have access to extensive cable jointing Research and Design facilities equipped with modern 3-D drawing software, with capability to present rapid prototypes within a short timeframe.